Australians work well within a flat structure. Australian society strongly values equality and embraces a spirit of egalitarianism, particularly in the workplace. 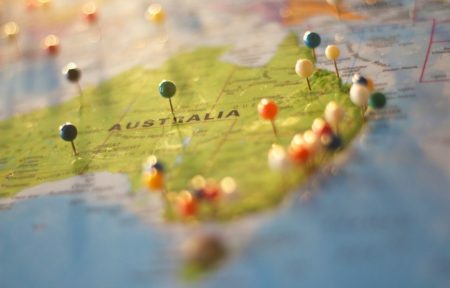 This means that Australians prefer to work in a flat structure with a short chain of command, leaving as little distance as possible between the boss and the rest of the workforce. This low power distance means that bosses are addressed by their first names and juniors often enjoy a fairly informal relationship with their superiors. Our tip: Be aware of the Tall Poppy Syndrome, where those of higher status may be cut down or criticised for their achievements. 2. It’s OK to disagree. Unlike a lot of other cultures, Australians can be quite forthcoming with their opinions. Where many bosses around the world might be unaccustomed to receiving direct feedback from their team members, Australians are encouraged to share their opinions. Australians are direct and like to get straight to the point, so when disagreement or problems arise there’s no ‘beating around the bush’. Our tip: Keep your communication as simple, clear and explicit as possible. 3. Coffee is taken very seriously. The morning coffee is an important part of the Australian work day. While Australians are quite task-focused and generally like to get down to business (at least compared to their relationship-oriented neighbours in Asia), the morning ‘coffee run’ is a valuable opportunity for building workplace relationships. Driven not only by their love for the caffeinated beverage, Australians also use their morning coffee break as a chance to discuss business and even make decisions. Our tip: Even if you don’t drink coffee, join your colleagues for the walk and enjoy the opportunity to get to know them better. 4. Australians don’t like to be micromanaged. Australians are independent and individualistic, both in their personal lives and at work. This means that Australians prefer an empowering management style, one which encourages initiative and autonomy. Australians dislike being micromanaged and will be frustrated by close observation or control by their manager. Our tip: Be prepared to have less regular contact with your manager. 5. Australian humour is unique. Australia’s laconic and often self-deprecating humour can be hard to interpret at first. Australians love to use irony and will often be found making fun of others. This can be quite confronting if you’re from a culture that places great importance on ‘saving face’. ‘Making fun’ of oneself is often used to build rapport and even friendship. Our tip: If you don’t understand the humour, don’t be afraid to ask for an explanation. If you or your clients want to learn more about working with Australians, contact us at cultural.training@internationalconsultantscentre.com.